With over 100 people moving as a critical mass in collective patterns and at random flourishes, Census addresses the inherent challenges and inaccuracies of taking count of a populace. 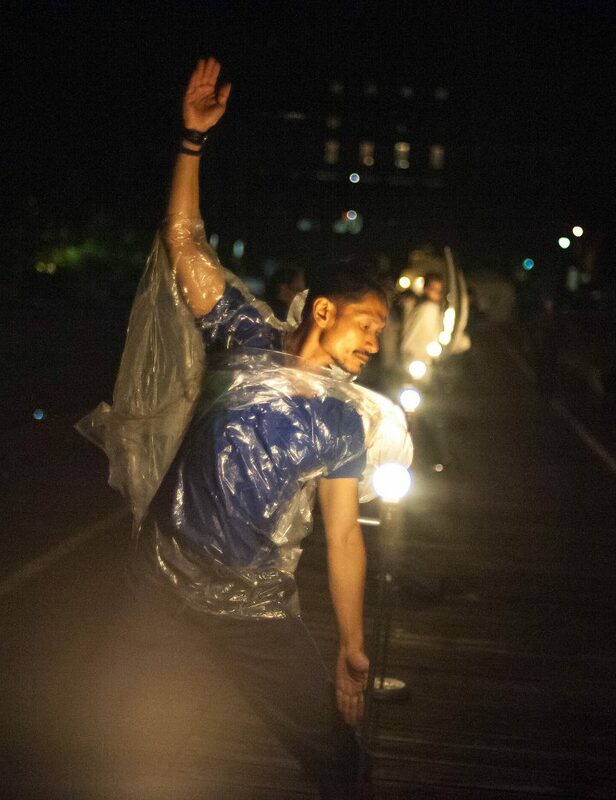 Census features performers from the broadest range of experience in dance, movement, and embodiment by inviting our neighbors, our parents, our best friend’s cousins, and even the strangers that pass by us every day. 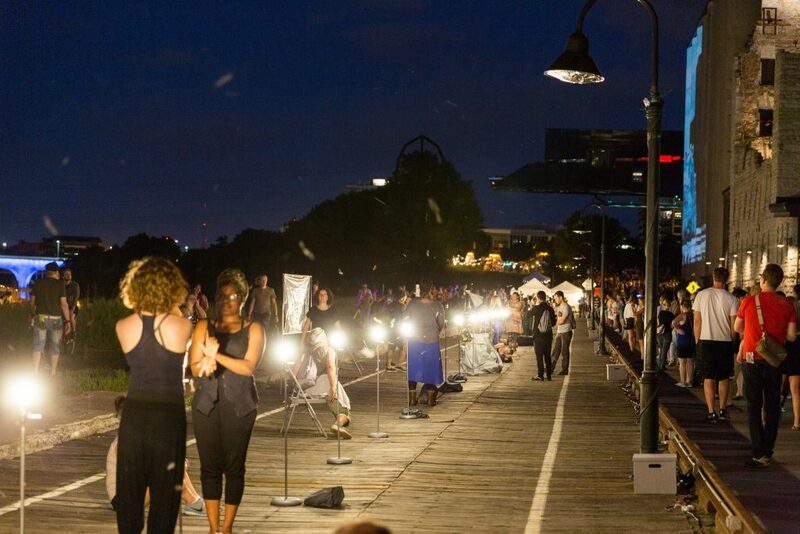 This performance begins with the sunset and invites the interactions of 9 hours of festival-goers to dance along into the sunrise. Come take a tour (offered on the hour from 9pm onward) to learn more about the project through a question and answer session. If you’d like to dance, you can also learn some of our choreography and then perform it with cast members live on stage. If you are interested in performing with us for a longer period of time, check in at our tent placed at the Guthrie side of our stage. ASL interpreters will be on site from 9pm to 1am to support the tours. Founded in 2004 (by Pramila Vasudevan), Aniccha Arts is an experimental arts group that creates immersive performance environments primarily made of dance and electronic media. 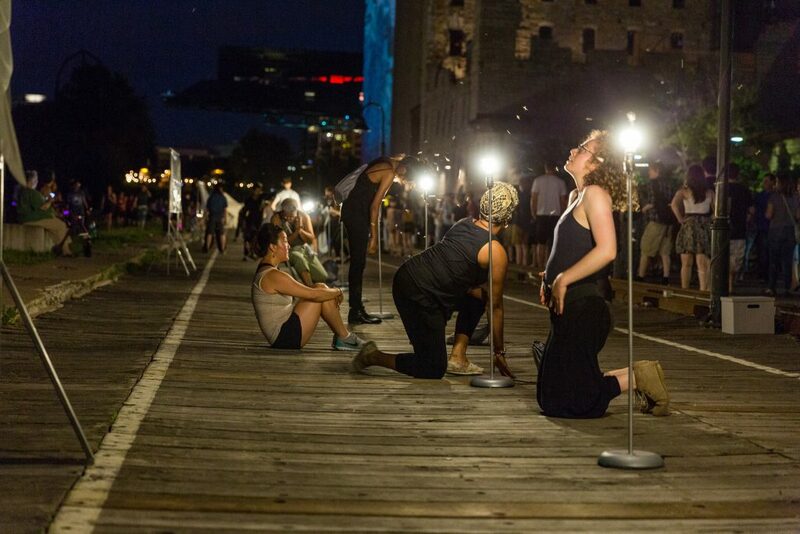 This interdisciplinary arts collaborative produces site-specific performances that examine agency, voice, and group dynamics within community histories, institutions, and systems. Census was conceived by Piotr Szyhalski, Jasmine Kar Tang, and Pramila Vasudevan. 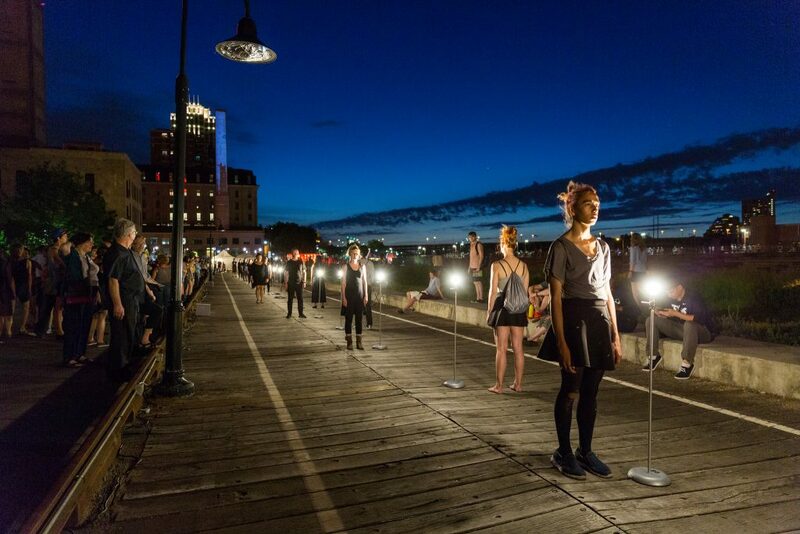 This project is made possible by: Northern Lights.mn, Jerome Foundation, Metropolitan Regional Arts Council, Clientek Inc, Upstream Arts, Pillsbury House + Theatre, and 120 individual donors.